I just love colorful things, especially when it comes to teaching. 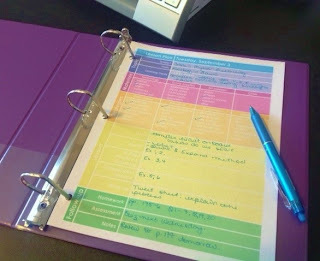 Last year I bought a teacher planner from Staples and would spend the time on Sunday night to outline all of the rectangles in different colors for the different periods in the day. My friend/co-worker asked me the other day when I was going to pick my planner up from Staples I told her that wasn't happening this year! I am making my own this year, I told her. I'm not sure if I will save any money this way, maybe in the long run, but I'm okay with that. I know the yellow part looks tough to read but it is so pretty when printed! Here is the lesson planner I'm using. It's so colorful and bright. I'm sure it will lift my spirits if I am having a rough day. Plus, since I am printing it out myself I can just put it into a binder and not have to deal with the spiral binding or the lack of a hard surface to write on. I've been pinning lots of planners but I just needed one that's right for me. The ones from the big-box shops don't cut it for me, and many of the wonderful planners on TpT are more geared towards elementary teachers. 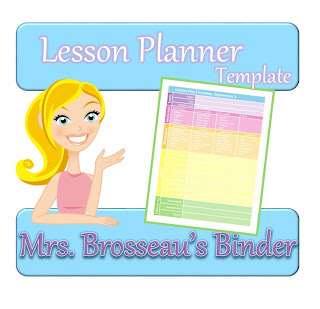 If you want to check it out and alter it to suit your needs, I've made the template free at my TpT store. 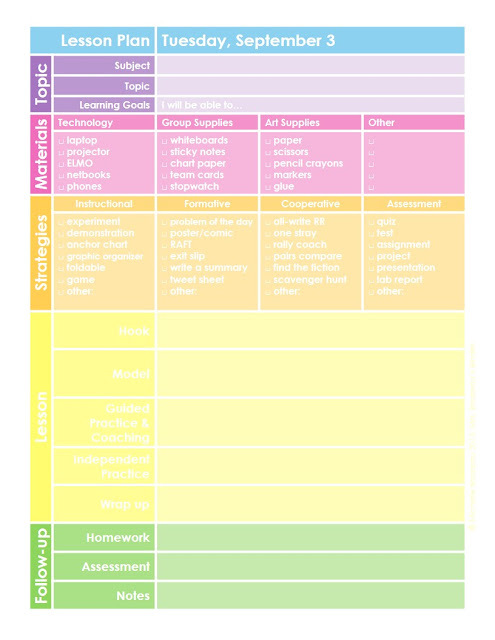 Find it here: Free Colorful Lesson Planner Template.